THR says Gibson was one of the last roles to be filled. While details are limited, the report says the he will play “an FBI agent trying to hunt down the living vampire.” Gibson will be joined by Arjona, who will play a love interest to Morbius. Additionally, the report says that Harris will play Morbius’s mentor. According to Variety, Smith will be playing the film’s villain. Although, it’s unclear which one it will be. However, they can confirm he will be the lead baddie. While it looks like it’s going to be another stacked cast, there are still a lot of unanswered questions. Does Morbius fit into the same universe as Venom does? Can a Morbius franchise exist with such a small slate of villains? How much longer can a Spider-Man-less cinematic universe work? It will be interesting to see how Sony moves forward with their plans to release films based on Spider-Man supporting characters and villains. But so far, it has worked out. Venom, though not a hit with critics, was a box office smash. Not only that, but Sony has already put plans for a sequel into motion. 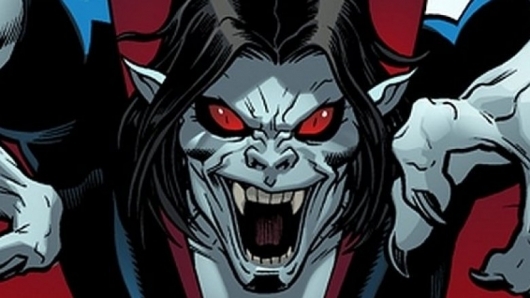 Directed by Daniel Espinosa and written by Burk Sharpless and Matt Sazama, Sony is expected to release Morbius some time in summer 2020.